What a week we've had! Blake has got conjunctivitis and has been feeling rather sorry for himself. Its been heart breaking having to get the drops in his eyes. I'm not expecting next week to be any good either as we have a busy one ahead with many appointments for him. Enough of that lets get on with some of the lovely things from this week. I've finally started reading How to stop time by Matt Haig. I've heard about it so much and am only just starting to get into it. I'm not sure if because the hype I'm feeling a bit disappointed, we shall see. I've been catching you with my favourite YouTubers recently. I've really enjoyed watching Mrs Meldrums haul videos and even though the video is a week old her 15 ways to spend me time. I've also been enjoying Emily Norris's videos especially on her 10 laundry hacks. I've also found myself watching a few episodes of waybaloo with Blake this week. It's the only thing he's really wanted to watch strangely enough. 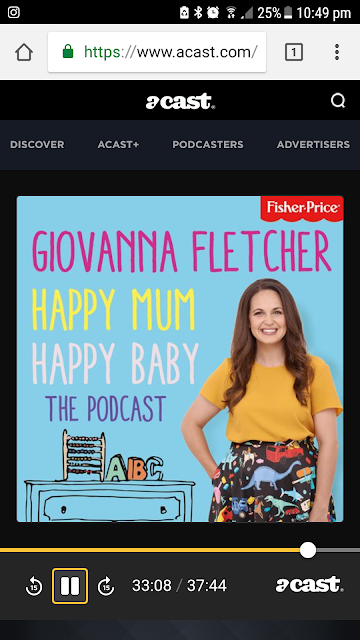 I've got into the world of pod casts by listening to Giovanna Fletchers Happy Mum, Happy Baby the pod cast. I loved her book Happy Mum, Happy Baby where she shared her parenting highs and lows. The pod cast features some great other famous mums such as Izzy Judd, Emma Willis, Frankie Bridge and more. They each chat with Gi sharing their personal thoughts along with highs and lows of parenting. 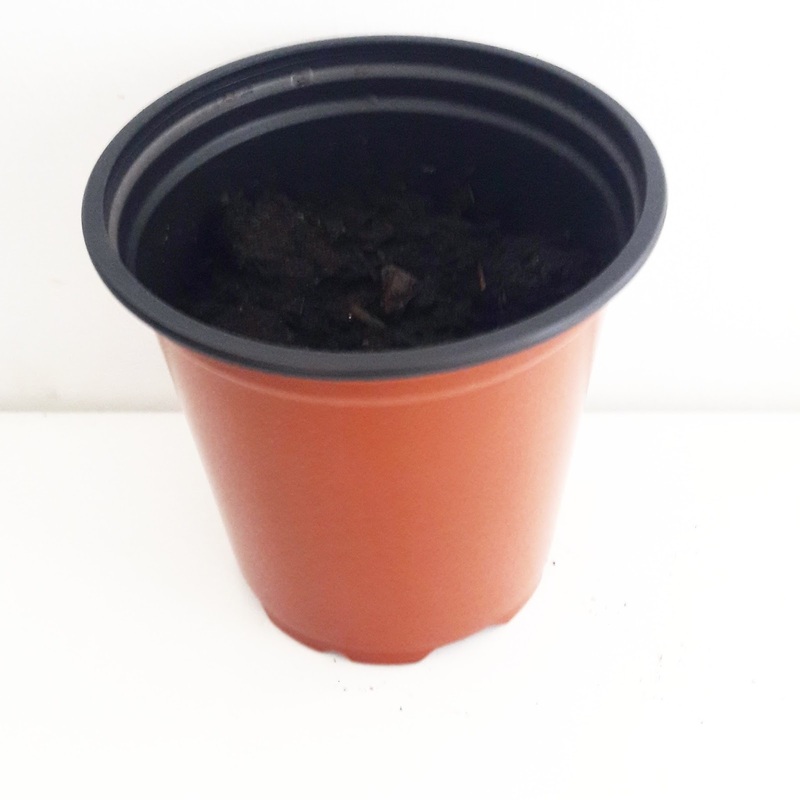 On one of the days Blake did go into preschool this week he came out with a broad bean that he had fun planting. I love it when he comes out with things he has been making at preschool. This week Blake has been loving his jumpers that my mum knits for him. He's been especially loving his new one that my mum had recently made him. 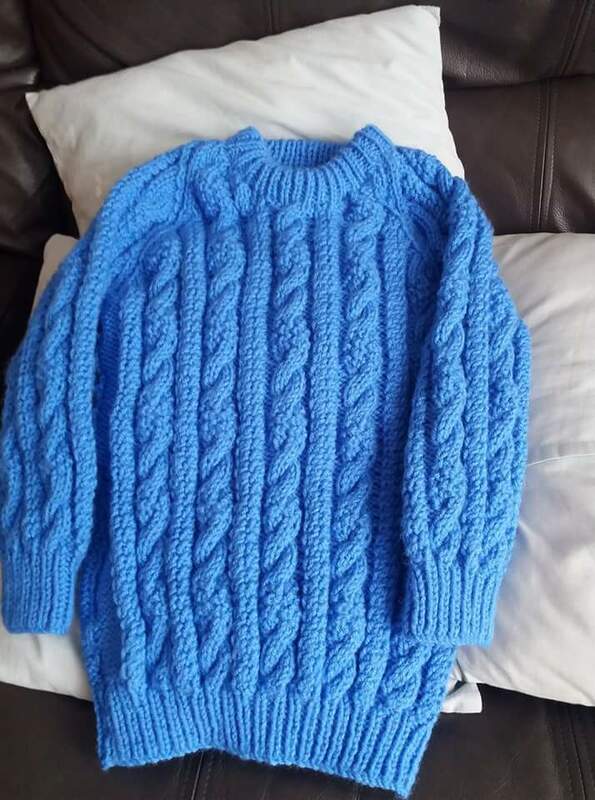 With blue being his favourite colour and how snug it looks I can definitely see why. This week also has seen me wearing odd socks in aid of down syndrom awareness day. I'm looking forward to being able to see my bestie this weekend. Even though she is my sister in law too, we don't get to see each other as often as we would like as she lives in Bristol. I love the blue jumper:) My boys use to wear things my mum knitted for them too, and I loved it. I have yet to get into the whole podcast thing/ I just never find the time to sit down and do it. I should try it though because thee are so many great ones. 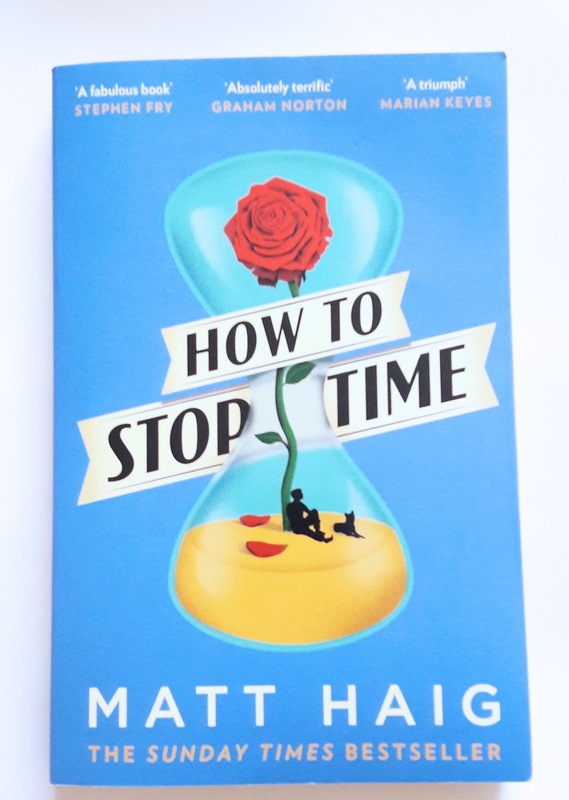 I struggle with books that have had a lot of hype. On the one hand I want to know what everyone is talking about but on the other I kind of like to go in blind too. I think I'm the only one who hasn't read Eleanor Oliphant yet.